Since the manifestation of the triumph of the OTOGE struggle, which stalled continuity of reign of political ineptitude and leadership insensitivity that the rejected Saraki political dynasty represents, the expectations of Kwarans have continued to build up as would be expected after a successful gunless political revolution against inequity, underdevelopment and misgovernance like ours. Unusually and luckily for Kwarans, it was an absolute razing of the unproductive political hegemony that saw movement of the people, 'not APC', winning the three Senatorial, six House of Representatives and the 24 State Assembly seats, ceding non to Saraki. This reflects the yearning and aspiration of Kwarans for a leadership and representation that place premium on their interest over the elected persons personal interests. The polity in Kwara state have been heated up in the recent time over elections of leadership of the 9th Kwara state Assembly, just as obtainable at the National Assembly. 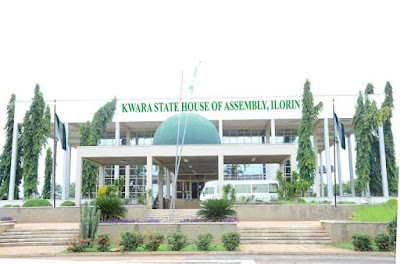 While there is popular consensus by majority of Kwarans that it is only morally, fairly and equitably right to concede the Speakership of Kwara state House of Assembly, which is the number three seat to Kwara North, owing to the fact that the Governorship and Deputy Governorship seats are already owned by the Kwara Central and South respectively. As much as I continue to re-emphasize that the 2019 elections victory in Kwara state was never for the All Progressive Congress, it was a fruition of the long time struggle of Kwarans across social and political divides for a better Kwara. We are however constrained and compelled by the structure of Nigeria democracy and the constitution, to pursue our political interest as a people under a party, making APC the fortunate political party that served as the catalyst through which we realize the success of our long walk to Freedom. It could have been the PDP if they had not take Kwarans for granted towards the dawn of the struggle. It is therefore instructive to the leadership of the All Progressive Congress in Kwara state to be appreciative for being in the right place at the right time, they must note that they have done nothing special, the people did and their interest must be proactively put first. Passiveness and silence of the APC leadership over the leadership of the Kwara state House of Assembly, where a lawmaker from Kwara South is jostling for is nothing but a clear pointer to the complicity and conspiracy of the party leadership, against the principle of fairness and equity to the generality of Kwarans and not just Kwara Northerners. Let me remind us all, that in the heat of the primaries of the APC in Kwara state was a struggle led by Hon. Saheed Popoola, agitating that foundation members of the APC must be given tickets to contest the governorship and other elective seats under the party's platform, a step which I personally see as detrimental to the unity of the party at that critical point in time. It was a moment we needed unity most, but in pursuance of personal interest, he led a protest for discrimination within the party. It was overlooked, even by the ex-PDP members whom he openly campaigned against, despite being in same party with him. Today, the same Hon. Saheed Popoola, a Kwara Southerner, fully aware that the his geopolitical zone has the deputy Governor and more particularly, his own local government has the Senator representing Kwara South, yet, insist on clinching the number three seat in Kwara state, at the detriment of power balancing among the three geopolitical zones we have in Kwara state. In the middle of this heated contest, which is strictly all-APC affair is the party leadership that remains conspicuously quiet. Take it or leave it, even though there are unseen but known political forces that installed Comrade Adams Oshiomole as the National Chairman of APC, he has shown capacity of a Chairman-in-charge and not just a sitting Chairman. He may have his excesses but you cannot take away his assertiveness and blunt standpoints on issues affecting the party, replica of what one would expect of a party Chairman in Kwara state. Hon. Bashir Omolaja Bolarinwa's led APC executives needs to clear themselves from these perceived conspiracy, which I personally see as a continuation of the 'foundation APC members' struggle which Hon. Saheed Popoola represents, being the only foundation APC member elected as member at the 9th Assembly. Bearing in mind that Hon. Bashir Omolaja Bolarinwa is also a foundation APC member and his silence may imply his positive disposition to the discriminative plight of Hon. Saheed Popoola. The APC leadership must come out in clear term to tell Kwarans if it is standing by morality, fairness and equity or otherwise. I must conclude this piece by making it clear that I have no particular interest in any lawmaker-elect for leadership positions in the Kwara Assembly but I am interested in equity and fairness, I am interested in an APC without discrimination, an APC that prioritize Kwarans interest, who gave us this golden opportunity above some personal interests and so will I implore the Hon. Bashir Omolaja Bolarinwa led Kwara APC executive to direct their interest and attention and do the needful with immediate alacrity, as their continued silence is an admittance of the speculations of being the unseen forces behind Hon. Saheed Popoola's unfair aspiration.